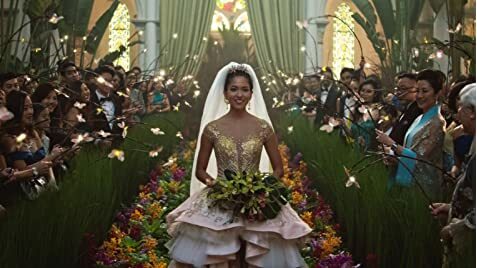 | Crazy Rich Asians or Crazy Rich Far East Asians? The film is based on the novel of the same name. The novel is the first part of a trilogy by Kevin Kwan. The two other novels of the trilogy are "China Rich Girlfriend" and "Rich People Problems." Amanda Ling: I can see why Nick put off coming back to Singapore. Rachel Chu: What do you mean? Amanda Ling: You know. He was supposed to come back last year, take over the family business. His parents freaked out when he didn't. But, now that he's back, I'm sure all is forgiven. When Nick is talking to his family about Rachel, he mentions that she teaches millennials. While Nick and Rachel's ages are never explicitly mentioned, we can guess by the 1995 flashback that Nick at least is of the age range generally accepted to be a millennial (early 1980s to mid-1990s). Nick and Rachel seem to be near the same age, making both of them millennials. Unless Rachel is only teaching graduate students, her students would be firmly placed in the Generation Z age range.